New York – the lights, the excitement, the glamor, the Post Office. A compelling argument for electronic invoicing. This Post Office in the heart of Manhattan – one of the busiest and commercially vibrant cities in the world – is open for business. I stood in line for 45 minutes to buy a stamp. There’s lots of ways to look at the business case for e-invoicing. Just look simplistically at the potential savings in stationary. 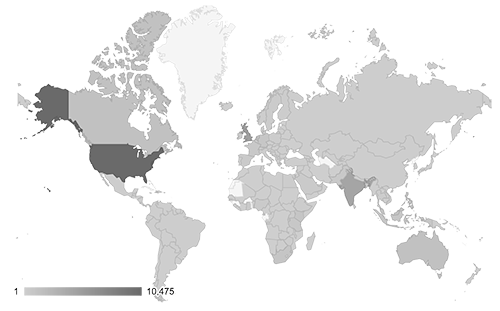 Whether using the free-to-suppliers networks like Tradeshift and Taulia to the other networks like OB10 and Basware who charge a nominal amount to send e-invoices – even Ariba whose charging model is based on a percentage of the value of an invoice – they are all cheaper than sending invoices on paper. But the business case is actually much stronger than that. Getting invoices delivered electronically – and remember invoices are critical business documents – allows a finance and procurement function to deal with them automatically and efficiently. This reduces time spent, it reduces errors and it puts a business in a position to pay earlier. Not to pay early necessarily but in a position to pay sooner. It gives them thinking time, options. It’s like a quarterback receiving the ball 2 seconds before the opposition hit him instead of just a split second. It puts a business in control. 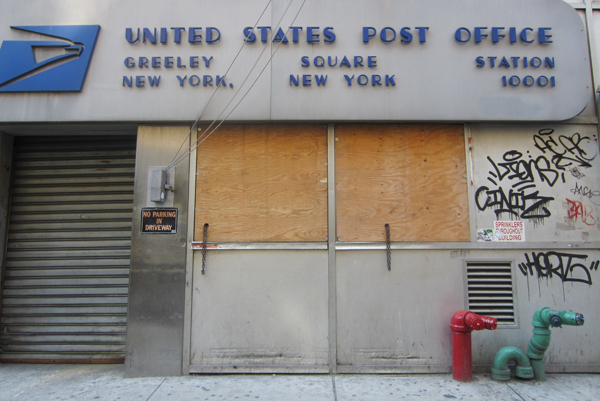 But the most compelling argument of all is the Post Office like the one I visited in New York last week. Just look at it. That represents the business world that runs on paper. If that truly represented a business that fits comfortably in the modern world it would look like it could support 21st century business processes – not look like a run down soup kitchen. Why do we cling on to the old ways? Is it out of a sense of misguided loyalty to traditional ways of doing things? Red pillar boxes may look great on the streets of London, so do the iconic red telephone boxes but these are monuments to the past not our key to the future. A business that is not already embracing electronic invoicing is a business that is facing the wrong direction. There are many traditions worth preserving but sending pieces of paper in the post isn’t one of them. *For younger readers, 2/6 is shorthand for 2 shillings and 6 pence, a form of currency not used since 1971 and for a game of Ludo, a very fair price. So I really think the real failure here is we accept that there are technology vendors out there, arguing with a straight face that it cost more to send an electronic invoice than to use the post office (which have all that crumbling brick and mortar infrastructure you talk about), but I agree they seem to have a very hard time facing the new, both the companies using the post office and Ariba. The Post Office may well represent the old world, but a lot of organisations still rely on the old world – it’s what they’re used to and its easy. Reluctance to change is in the DNA of most of us. At an organisational level, it becomes magnified when an e-invoice vendor asks a supplier to change their billing application to send XML or EDI invoices….. Or change their processes and log onto a portal to submit their invoice. This maybe fine for a micro business who doesn’t have a finance system, but if you’re an organisation who already raises invoices in a billing application, why would you want to duplicate this activity? As soon as you ask a supplier to change their technology or processes, a barrier appears. Though the postal service is old world, its ubiquitous and familiar to all. Maybe there’s a lesson in there after all.